It’s official: Bill Daley is running for Chicago mayor. The former U.S. Commerce Secretary and White House chief of staff made his candidacy official at 12:01 a.m. Monday by releasing a statement. The field of mayoral hopefuls was crowded even before Mayor Rahm Emanuel unexpectedly announced earlier this month he would not seek a third term in office. There are now nearly 20 people who are either in the race or strongly considering it. Cook County Board President Toni Preckwinkle has reportedy decided to jump into the fray. Already in the race: lawyer and former Chicago Police Board President Lori Lightfoot; former Chicago Police Superintendent Garry McCarthy; former Chicago Public Schools CEO Paul Vallas; Clerk of the Cook County Circuit Cook Dorothy Brown; entrepreneur and philanthropist Dr. Willie Wilson; activist Ja’Mal Green; President of the Chicago Principals and Administrators Association Troy LaRaviere; tech entrepreneur Neal Sales-Griffin; Austin Chamber of Commerce Director Amara Enyia; attorney and son of former 19th Ward Ald. Jerry Joyce, Jr.; DePaul University student Matt Roney; and John Kolar, a former candidate for alderman. An SEIU poll, conducted before Daley jumped into the race, has Preckwinkle in the lead with 25 percent of the vote. “Undecided” came in second, at 19 percent. In third and fourth spots: Vallas (16 percent) and McCarthy (13 percent), respectively. Other elected officials reportedly considering a run include Illinois Comptroller Susana Mendoza, Cook County Treasurer Maria Pappas, Chicago City Treasurer Kurt Summers, 22nd Ward Ald. Ricardo Munoz, state Rep. La Shawn Ford and U.S. Rep. Mike Quigley. Former mayoral candidate Gery Chico is also mulling a run. Former Chicago Public Schools CEO and former U.S. Secretary of Education Arne Duncan was also reportedly considering a run, but sources say he is no longer considering it. U.S. Rep. Luis Gutiérrez pulled himself out of contention last week but strongly urged Cook County Commissioner Jesus “Chuy” Garcia to jump in the fray after he forced Emanuel into a runoff in the 2015 election. Garcia is already a candidate for Gutiérrez’s seat in the U.S. House of Representatives. Gutiérrez has held his congressional seat since 1993 and isn’t seeking re-election. Candidates for mayor need to collect 12,500 signatures that pass muster as legitimate to get on the ballot. Most of those running will collect more signatures than required to survive the inevitable challenges. The petitions are due Nov. 26. The election will be held on Feb. 26, 2019 and if no candidate wins 50 percent plus one vote, a runoff election will be held on April 2. Chicago’s new mayor will then be sworn into office on May 20, 2019. 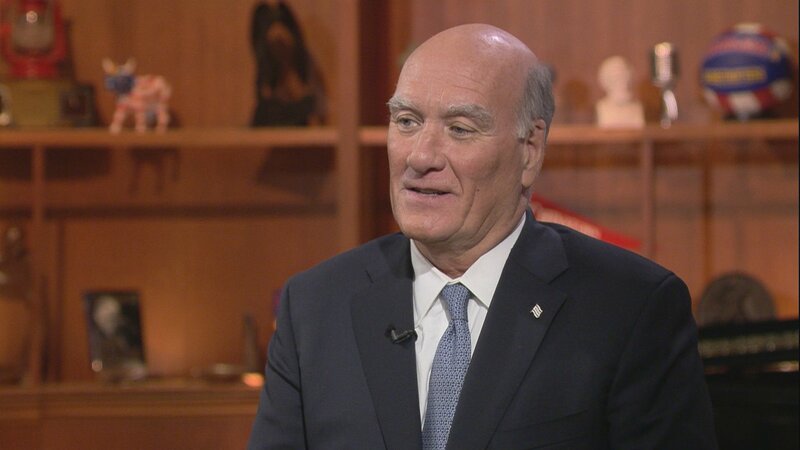 Bill Daley joins us to discuss his candidacy for mayor. Note: This story was originally published Friday, Sept. 14. It has been updated.